It's a refreshing departure from the overexaggerated 'Mr. Renderer' crowd of penciller/inker types typically seen in modern comicbooks. 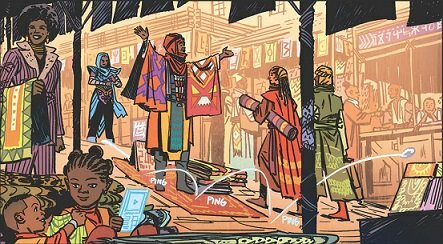 Just look at the action in this panel: There are a lot of interesting things happening here; a simple coin dropped encourages the reader/viewer to anticipate the next panel. I am not sure if your serious or being sarcastic, but I personally find d this art to be severely lacking, especially given how well the cover art has been. 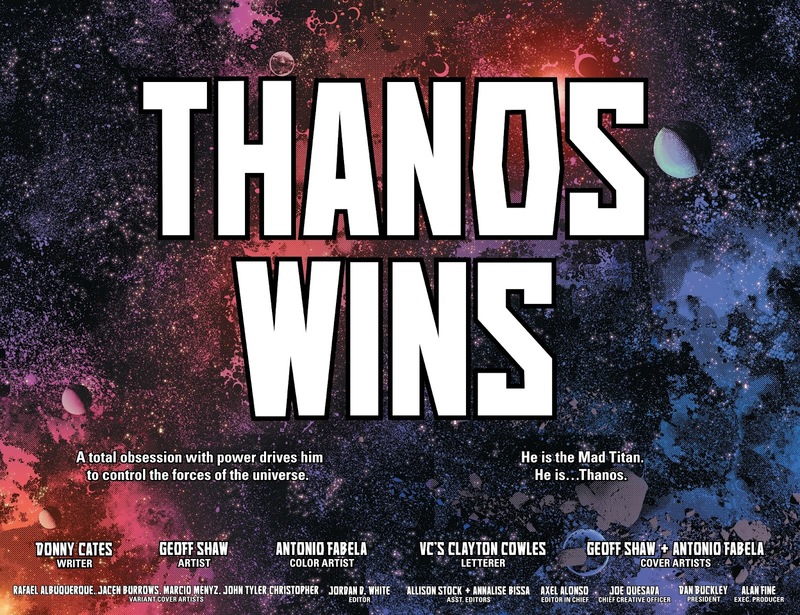 Regarding the cover art; not relevant to the discussion at hand considering that the comicbook book cover art is not always consistant with the inside content art but I'll oblige your reply anyway. 1. lures the reader to pick up and buy the book. In the panel I chose as an example, there are at least several different story elements going on before a caption, or word balloon is placed inside. 'Mr. Renderer' has a tough time trying to tell the story in his work because he prefers to smother his drawings with lotsa, lotsa, lotsa, lotsa, lotsa, lotsa, lotsa crosshatching lines. If anyone is doing MARVEL a disservice that would be any other artist except the sample panel above. Shuri was fairly average. Standard Coates era men vs women in WK commentary. Why Shuri behaves younger is explained. The criticism of the artwork for some of these book covers is rather amusing. 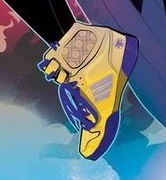 Strategically, the artist(s) clearly wants to attract readers by having the characters dress to impress by donning a pair o' new kicks or acquiring wings... or anything different than the last cover. Try using Google for clarification. Sneakers = nod to the scene in the movie...ah forget it. But yes the cover artists for the books have done stellar work so far. I got it... Thought it was a good joke. Eh it doesn't really explain why she is acting younger. It tries to give a one liner but it hardly explains the jarring difference between Nnedis Shuri and even Coates Shuri. Who are practically two different Characters all together. There could of been much better ways to go about this story that would of made it less jarring, and naturally aligned Shuri with her MCU counter part in a smoother transition while setting up the story. Read the first two issues today. It (along with the Killmonger issue I read) reminded me of the Blade problem where Marvel tried to fit the more popular movie iterations of a character within the existing comic book framework and it's not working so well. Especially when you try to meld the younger, more lighthearted tech genius Shuri from the films with the more serious warrior-queen from the comics. I think they should've just done a series based on the Shuri from the film and not tried to tie it into the ongoing Black Panther series. I feel the same way about Killmonger. With Shuri, I had some issues with the first book. I thought Shuri felt out of character to me, movies or from what I read about her in the comics (and I am behind on her most recent depictions), in her not having the urgency to find T'Challa. And the author had to slip in some feminism which I didn't think was necessary. The council of women wishing to declare Shuri the new Black Panther felt rash as well and dismissive of T'Challa. I don't think mainstream people know how to elevate female characters without doing it at the expense of male characters. I liked the second issue better. I think the author put the Black Panther mantle offer at the end of the first issue so that Shuri could reject it and forge her own path. I'm fine with that. I also liked the inclusion of Storm, and also another former T'Challa girlfriend. One thing that didn't make sense to me was Shuri developed nanowings in the first issue but chose not to use them for a flying bike instead. I get it shows off her genius, but Storm could already fly and why introduce the wings in the first issue and not have a payoff with them in the second, when the story set it up to do so? I liked the second issue more than the first, but then it veered left for me at the end and I think I'm done. I might pick up the trade though. I really did like the covers for both books though.